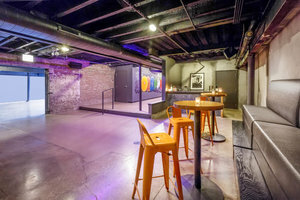 This 3,625 sq ft space is unique with two distinct rooms within one space with street art and a true Chicago feel. It's ideal for Private Events and Product Launches. 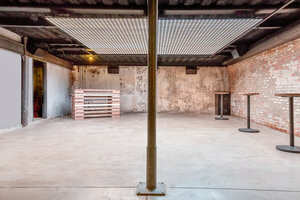 One area has a fully-functioning bar and a place for guests to mingle, while the other attached area is equipped with state-of-the-art technology, including a LED ceiling installation transforming the room into a dance floor. 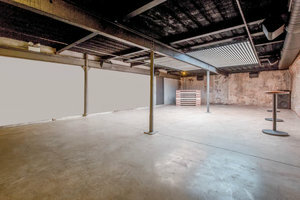 Studio M creates the ideal environment for guests seeking late night events, a space for live music, or DJ capabilities. This space is easily accessed via Morgan Station and the Kennedy Expy, and is well-equipped to host creative private events.